When it comes to children’s books, you won’t find many (or any at all) gracing the shelves of your law school library. 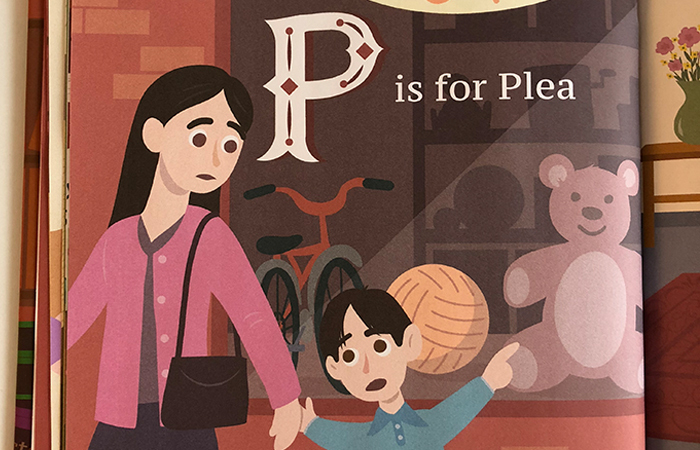 Enter L is for Law — a new picture book aimed at demystifying legal concepts for kids. 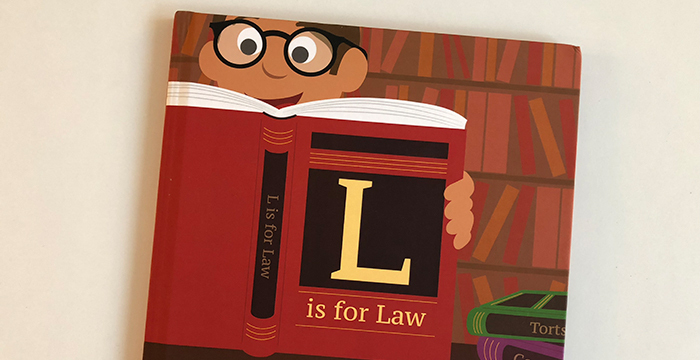 L is for Law is a colourful introduction to the language of law for children up to five-years-old. Written by Washington-based mother-of-one Veronica Goodman, the book features a legal term for each letter of the alphabet. What better way to prep your budding baby barristers! What brings the 32-page book to life is the playful and charming illustrations by designer and illustrator Nicole Jones Sturk. 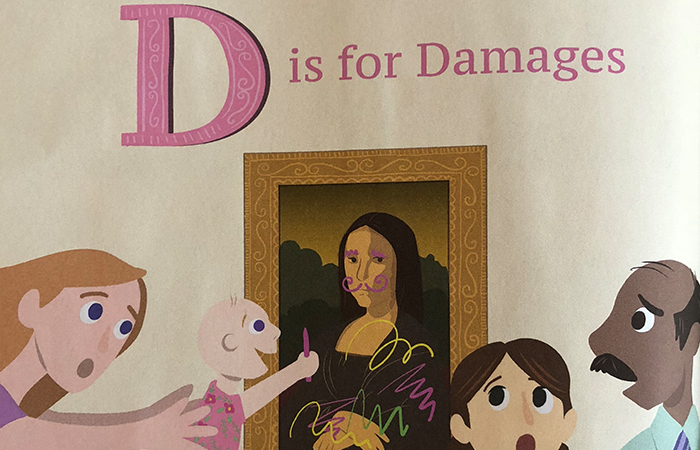 We reckon the child-friendly drawings such as ‘D is for Damages’ are a foolproof way to entertain parents and their children alike. Some very relatable parent-child experiences also make an appearance. This isn’t the first legal-themed children’s book to hit shelves. The Supreme Court: A guide for bears is the work of court artist and bear-lover Isobel Williams. The short picture book serves as an easy-to-read introduction to the Supreme Court and its function, told with the help of cuddly teddies. Cuddly toys aside but sticking with the UK’s top court, Lady Hale could soon be the subject of a new children’s book, thanks to a summer crowdfunding appeal. The book, Judge Brenda: Equal to Everything, tells the story of a girl brought up in the North Yorkshire countryside who went on to become president of the Supreme Court, the most senior judge in the country. Backed by Legal Action Group (LAG), the crowdfuding appeal has so far raised over £11,500. L is for Law is available to purchase on Amazon.com and for download on Kindle. The post You can now teach your children the ABCs of law appeared first on Legal Cheek.